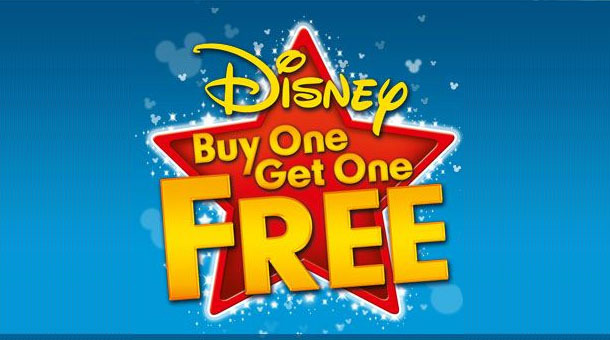 Various retailers are currently offering a free Disney blu-ray or DVD when another one is purchased. Offer ends 28/03/2012. Offer on selected stickered DVD and Blu-ray discs only. Not to be used in conjunction with any other other. Lowest priced item free.